New underground mining precision performance software, which uses machine learning to refine and enhance loading and haulage processes, is set to be launched by global mining software company, MICROMINE. The solution will be released in early 2019 as part of MICROMINE's fleet management and mine control solution, Pitram. 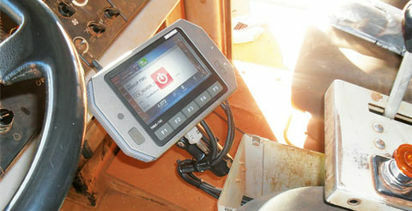 Using the processes of computer vision and deep machine learning, on-board cameras are placed on loaders to track variables such as loading time, hauling time, dumping time and travelling empty time. The video feed is processed on the Pitram vehicle computer edge device, the extracted information is then transferred to Pitram servers for processing and analyses. 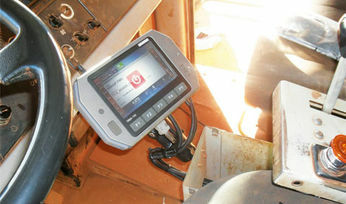 MICROMINE Chief Technology Officer Ivan Zelina explained the solution intelligently considered the information gathered to pinpoint areas of potential improvement that could bolster machinery efficiency and safety. "Pitram's new offering takes loading and haulage automation in underground mines to a new level," Mr Zelina said. "By capturing images and information via video cameras and analysing that information via comprehensive data models, mine managers can make adjustments to optimise performance and efficiency. "It also provides underground mine managers with increased business knowledge, so they have more control over loading and hauling processes and can make more informed decisions which, in turn, improves safety in underground mining environments. "This can contribute significantly to the overall optimisation of underground mines, which we believe have a lot of room for improvement." MICROMINE trialled the new technology in Australia, Mongolia and Russia throughout this year as part of a research and development pilot program. The initial concept was on the back of a trial project in partnership with the University of Western Australia. One of the master's students from the university was subsequently employed by MICROMINE to help drive the company's development of machine learning projects across its global business. "This advance is another demonstration of how MICROMINE is operating differently to other software providers by extending our products well beyond simple built-in machinery automation to artificial intelligence," Mr Zelina added. "The ability for mining companies to increase their knowledge of mining processes through automated data collection and analysis is endless and this is just the start of the work MICROMINE is doing with our mining software solutions. "We're striving to help companies optimise their mining value chain and we believe enhancing one of the most fundamental and critical underground mining assets - loaders - is a great place to start."